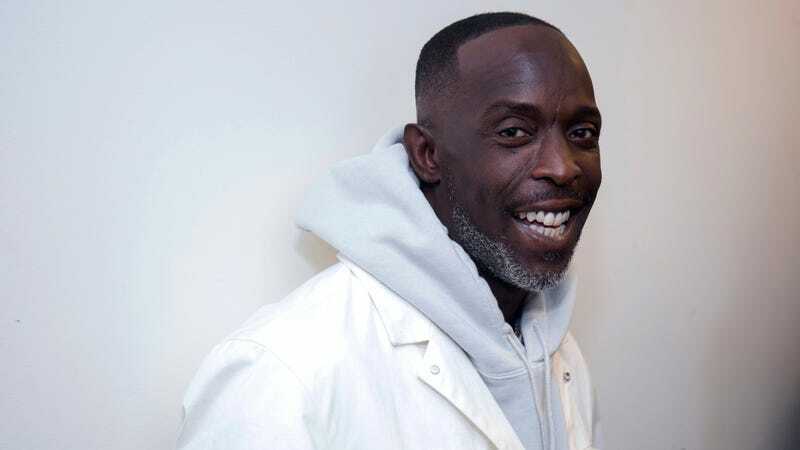 Although he’s now known for playing nuanced tough guy roles like The Wire’s iconic Omar—or Leonard Pine, his hard-hitting amateur detective from SundanceTV’s Hap And Leonard—Michael K. Williams got his acting start in a very different world: serving as a dancer and actor in New York’s music video scene. That, apparently, is actually how he landed his first film role, when his photograph—and distinctive scar—caught the eye of Tupac Shakur. Williams told this story to Entertainment Weekly this week, describing how music video auditions at the time were often as simple as standing against a wall and getting a Polaroid taken. That was enough, though, when Shakur was looking for someone to play his little brother High Top in Bullet, the 1996 crime movie that served as one of his final film roles. In Williams’ words, Shakur saw his picture on the wall and declared, “Yo, go find this dude, he looks thugged out enough to play my little brother.” And lo, he was, granting Williams his first appearance on the screen, and possibly paving the road to Omar Little’s eventual rise. Michael K. Williams asks himself: Is Michael K. Williams typecast?